It's Tuesday To Do time again. Don't know about you guys, but I always look forward to seeing what my friends have been up to! 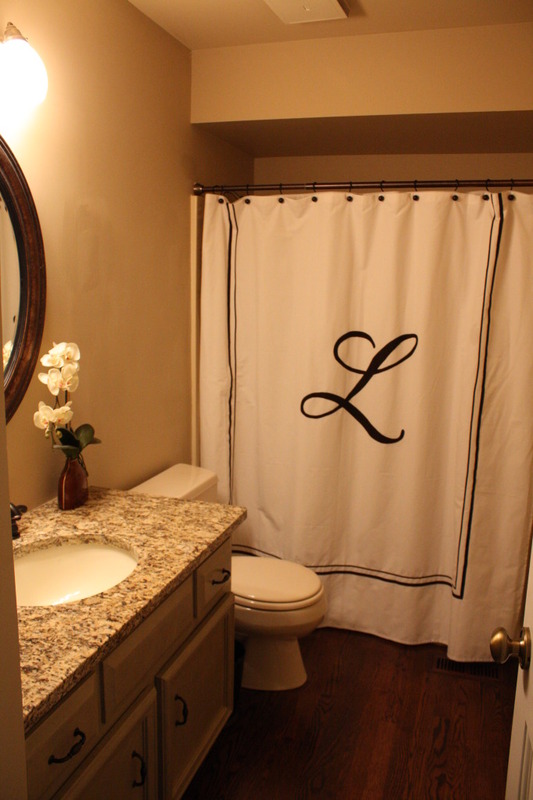 Decorating the Ville shows how to make this amazing monogrammed shower curtain! 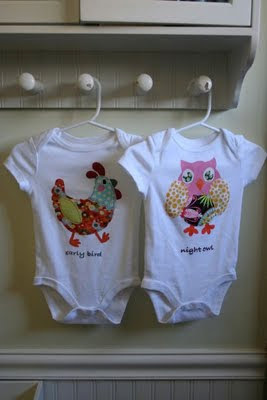 I just "heart" these sweet Early Bird & Night Owl onesies made by sweet Cookie and Claire! Yes please, I'll have another piece! 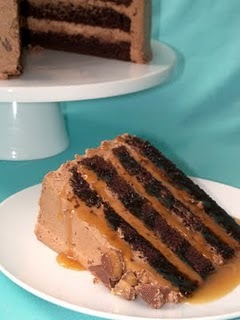 Robin made this yummy Heath Bar Chocolate Cake with Toffee Sauce for her own birthday. Will is the baby and my favorite...Dan (the older one) kind of pushes him around. They're very docile for such big animals but if watermelon is involved...get out of the way! 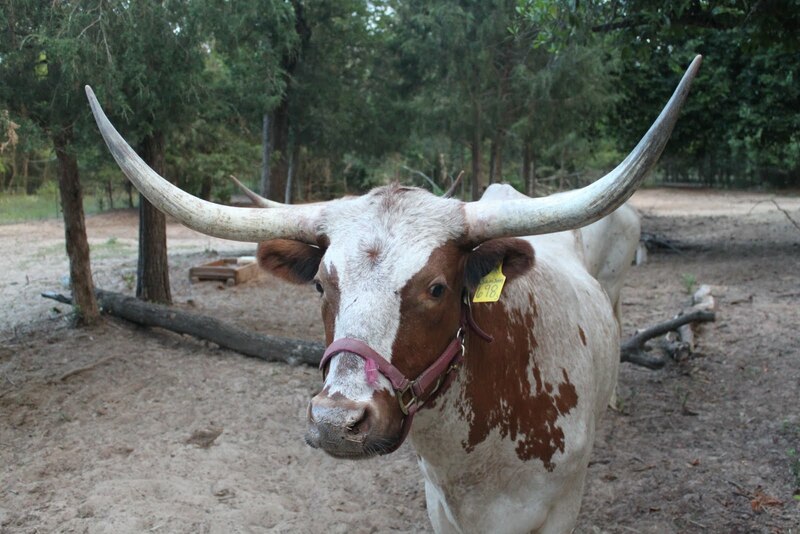 Did you know longhorns like watermelon?!? They like to rattle their horns when guests show up...its equivalent to the kids putting on a show for company! 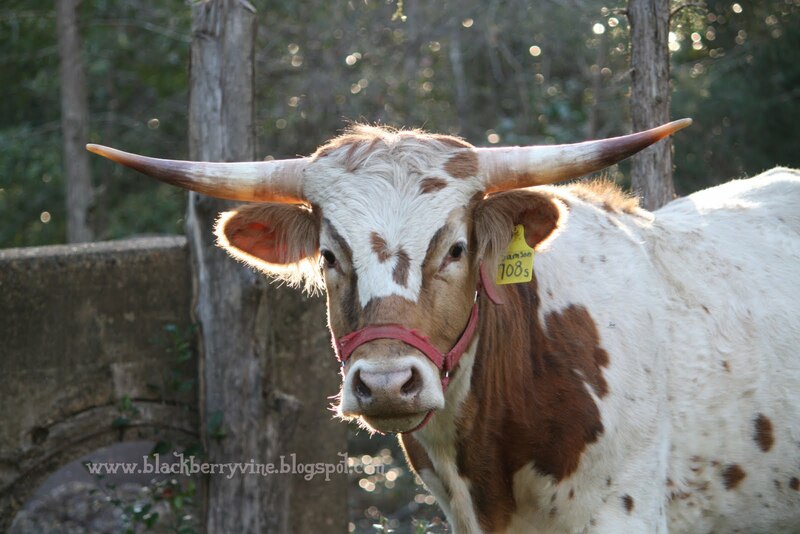 Can big longhorn steers be cute?!? Well, these are cute and full of personality! Do you have a cute pet you like to photograph?!? Wonderful, fun, helpful, kind, sweet & generous neighbors. One set of such fabulous neighbors shared about 20 something books with my son. Now, Sweet Neighbor, (SN,) is well past this reading level, but SN has a Sweet Little Sister (SLS) that will be wanting to read these in a few years. Now, placement in children young reader's books can be tricky. My guys like to look at ALL of the info availbale in the book...which books do we have...which books do we need, etc. Making the book labels on standard address labels (Avery 8160) seemed to be the perfect size. I threw this picture in just to show you an idea of where to place these little labels. Would you like to create some of these? Use my template and insert your own name! For the Bee click HERE! Would love for you to stop by and share your little lovelies at the Tuesday To Do Party! We have a family reunion every two years. At the last one (or maybe it was the one before,) they had an auction to raise money to help cover reunion costs and to help cover the upkeep costs of the old family cemetary. Good idea. I definitely wanted to contribute this year, but wasn't sure what I might do. 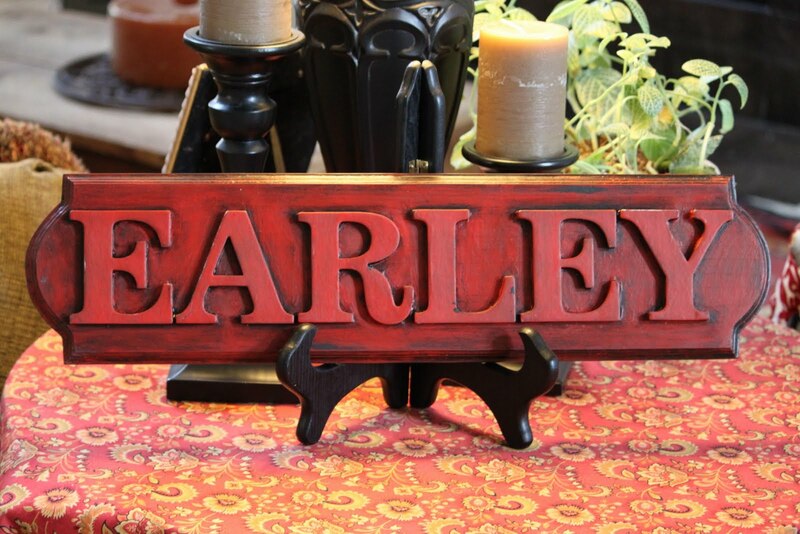 Most items are "family" related so I came up with this sign! When I got home I made light pencil marks on the board, top and bottom, to be sure I kept the letters straight and centered on the board. 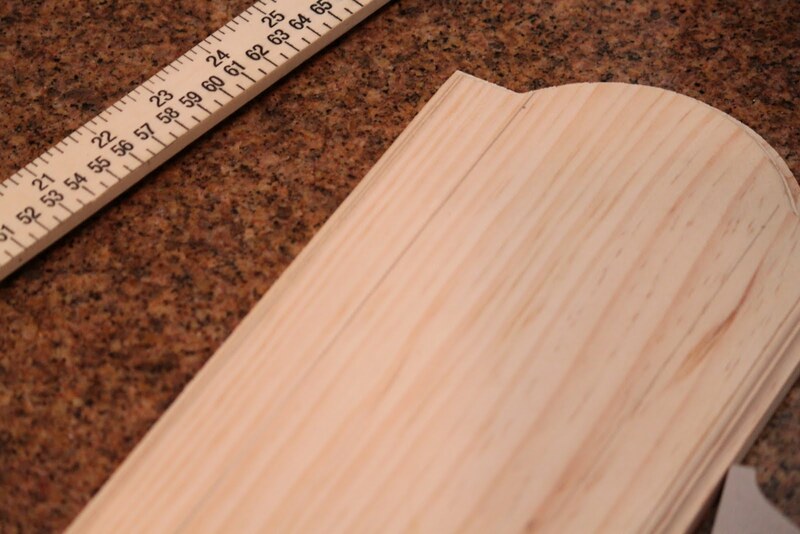 A light sanding might not be such a bad idea either, but I was pressed for time and skipped the sanding. 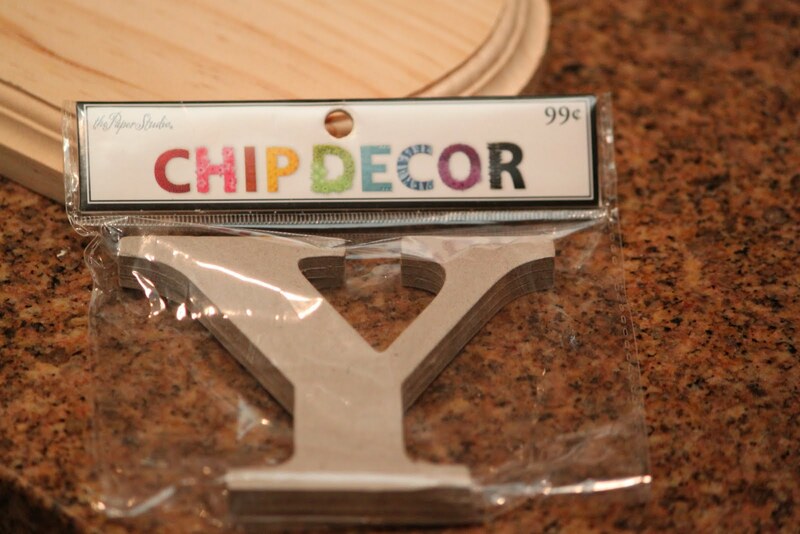 Once I had every thing nice and centered, I simply glued the chip board letters to the board with wood glue. 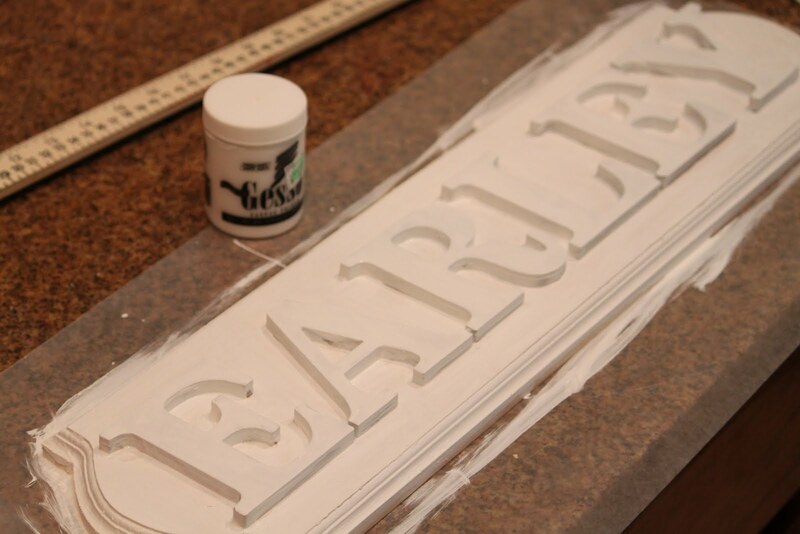 Once the letters had a chance to dry I coated the whole sign with gesso...seemed to give the whole sign the same texture. Next I painted it with a gray blue paint. Then I lightly sanded it. It just wasn't quite the look I wanted so I painted the whole thing red. Again, I lightly sanded it. 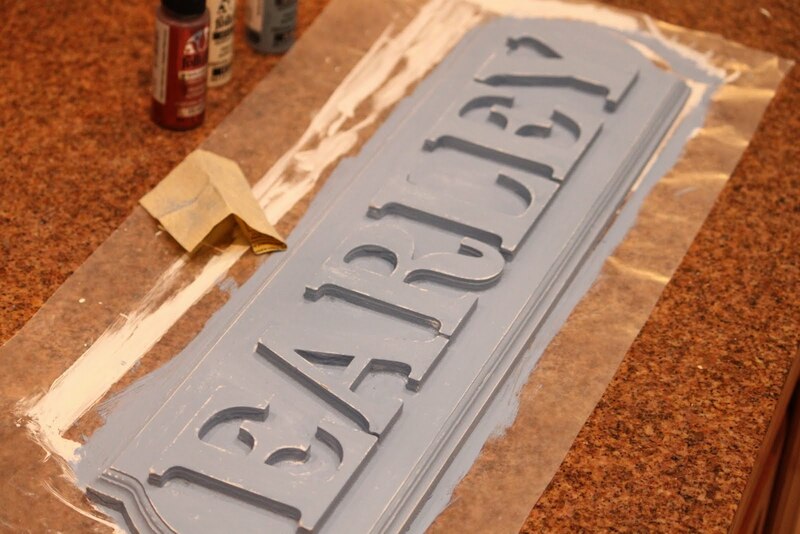 Once the red paint had dried, I painted over it with black acrylic mixed with float. While it was still wet, I used the paper towels to wipe it off. Oh, did I mention that when I got the family newsletter with all of the reunion details that I didn't read it? Did I mention that once I got to the reunion with my cute little sign that I was met with a puzzled look by the reunion coordinator? Yea, no auction this year. 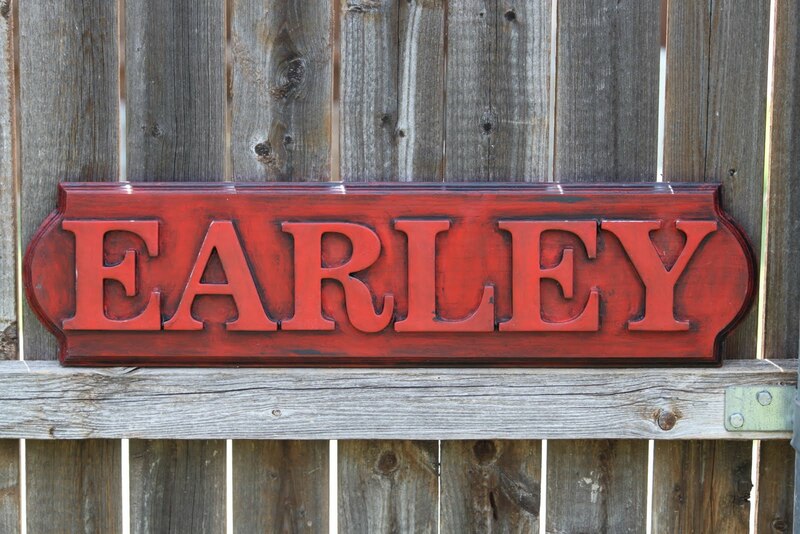 Congrats to mom & dad for being the winning bidders proud new owners of the family sign! Stop by the Tuesday To Do Party and link up your latest creative endeavor! 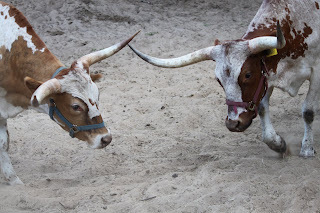 Linking to many of the fun parties listed on my side bar...come join me! I'm so glad you stopped by for another fun Tuesday To Do party!! Check out these great ideas from last week! 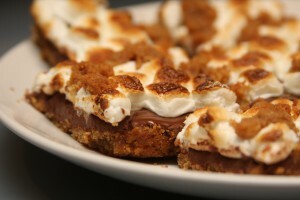 These Smore's Bars from It's A Keeper look OH SO GOOD!!!! Isn't this a great idea?!? A photo charm bracelet made with shrinky dinks! 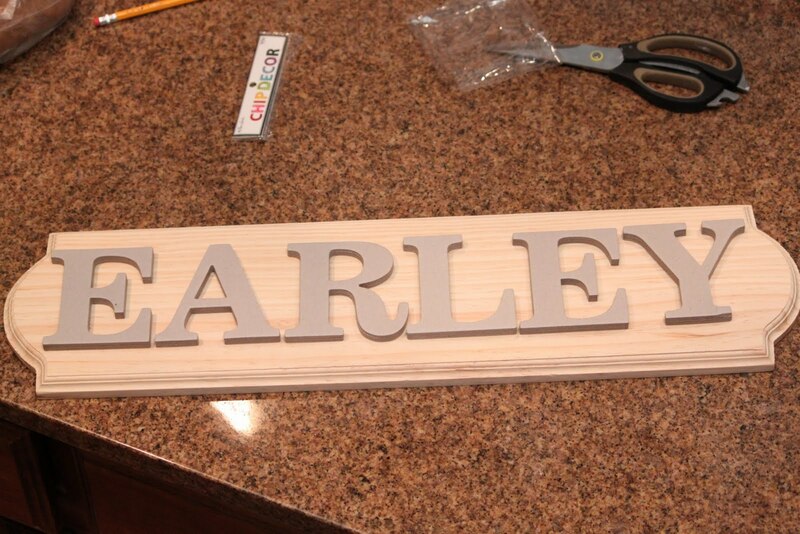 Its a great idea for teacher gifts and/or grandparents! I've seen this idea used also for glass tags at parties! 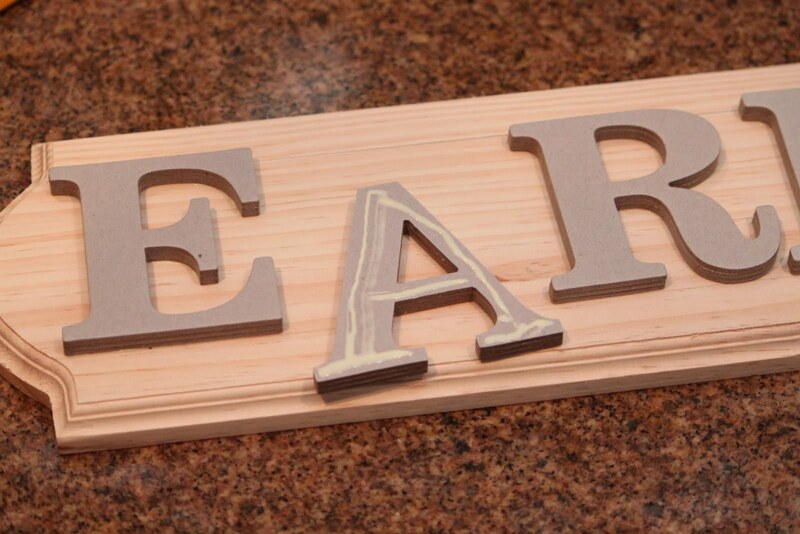 Thanks to Closet Crafter for sharing this with us! 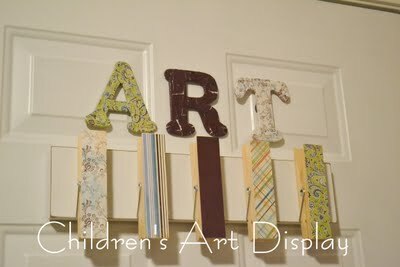 Jennifer Dawn came up with this adorable way to display her super sweet baby girl's art! 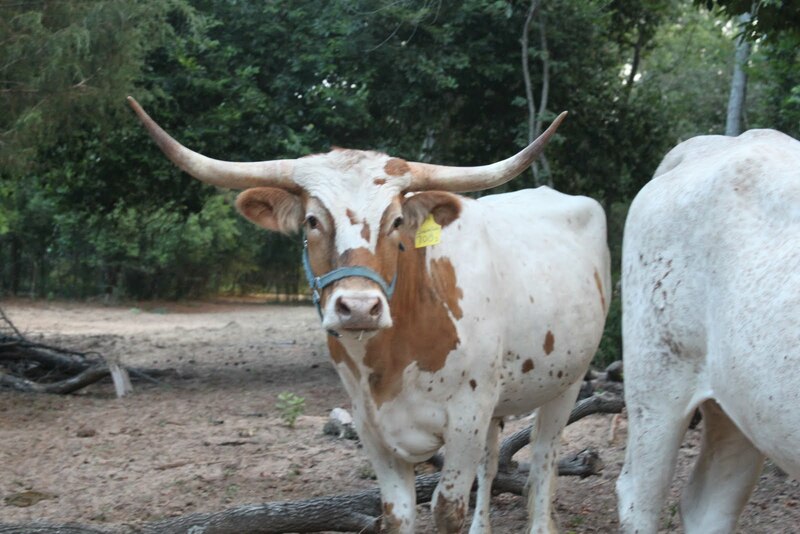 She's a finalist in a blog competition...be sure to stop by and see how you can give her your vote! 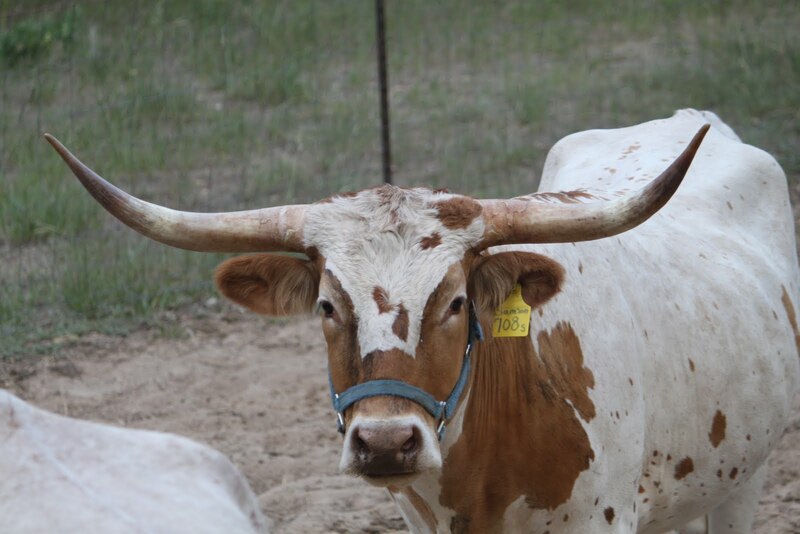 Are you enjoying your care-free summer?!?! Summer is such fun, regardless of our responsiblities! Thanks again to each of you that shared your wonderful talents, ideas and recipes with us last week...as always - I'M IN AWE! Just so you know, I have been trying to comment on your links, on and off, for several days. Some of the time I can, no problems...then, for some reason, it won't show that I'm logged in even after I log in over AND OVER. Not sure what the problem might be...if you know, I would for you to let me in on it! If you didn't get a response from me, please forgive me! Know I appreciate each and everyone of you for comments and links! Did you see these cute birds that Tales From an OC Cottage created?!? 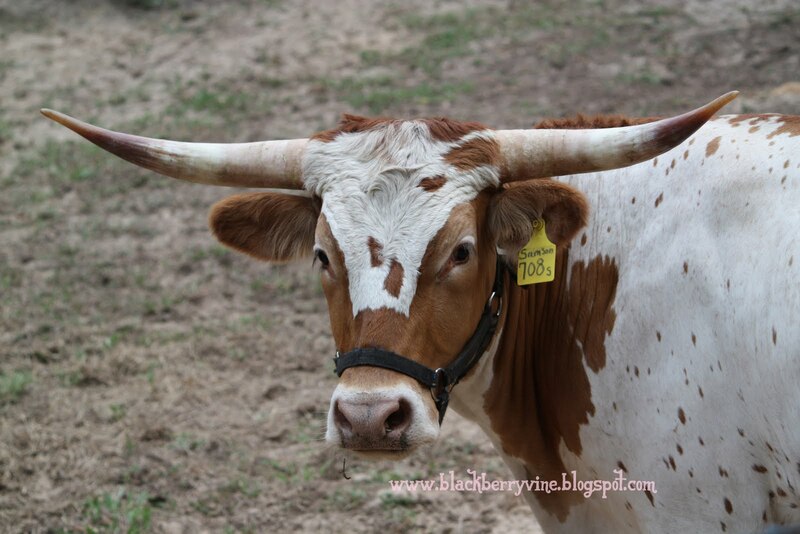 If not, be sure to check out here entire post...they even got a dressed up for the 4th!!! Too cute! I was completely blown away by this quilt that Eleni made!!! 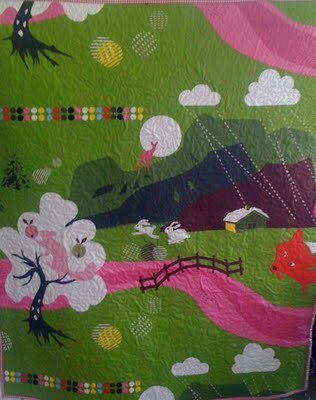 One day quilting WILL be on my To Do List for real!!! Just gorgeous! Be sure to check out both sides of her quilt when you visit her blog Lovely Handmade Things! Emily at Nest. Nesting. Nested. 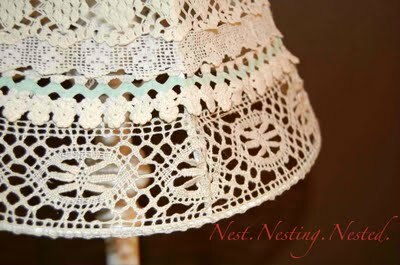 came up with this gorgeous vintage lace lampshade! It projects the most beautiful lacey pattern on the walls! Sweet! 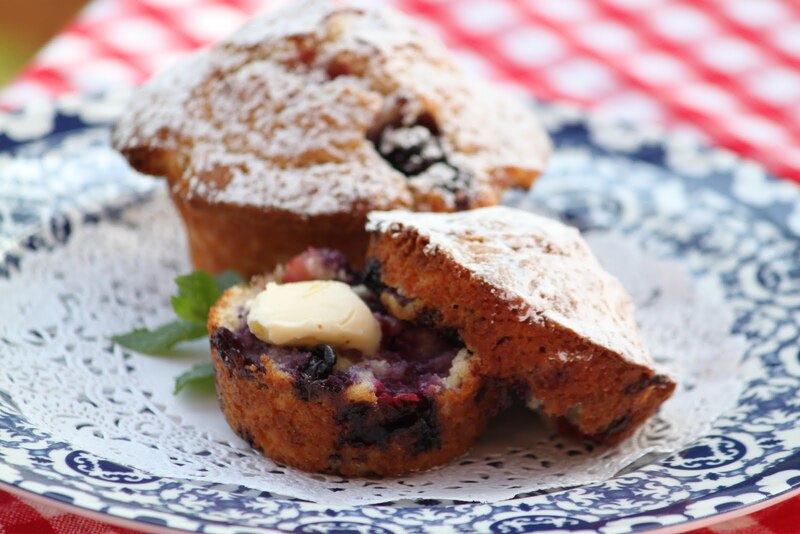 We had these yummy red, white & blue muffins for brunch on the 4th. The recipe is a combination of two recipes I've used quite a bit plus the addition of raspberries. Combine all dry ingredients (1st 5 listed) in a large bowl. In a small bowl, combine next 5 ingredients. Mix wet with dry just until moistened. Gently fold in berries. 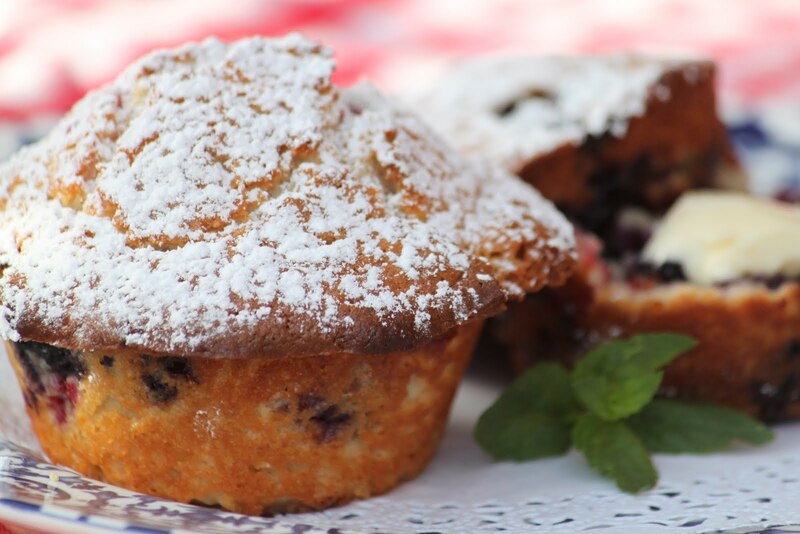 In greased muffin pans, fill cups 2/3rds full with muffin mixture. Bake in a preheated 400 degree oven for 20 minutes. Dust with powdered sugar. Serve immediately. Are you out catching some fireworks tonight?!? 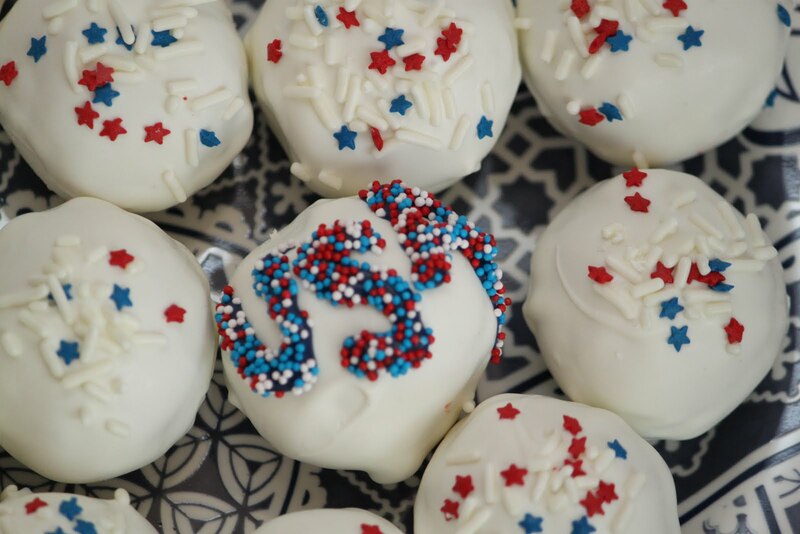 We had fun celebrating the 4th all weekend! Freedom Fest was Saturday, Kaboom Town was Sunday (which my boys were ok with missing...see the following) and we set off our own small, non-flying fireworks throughout the weekend. My boys MAY be a little spoiled to fireworks...as my eldest put it...I've seen fireworks 5 days in a row! Anyway, let's see last week's LIST MAKERS! 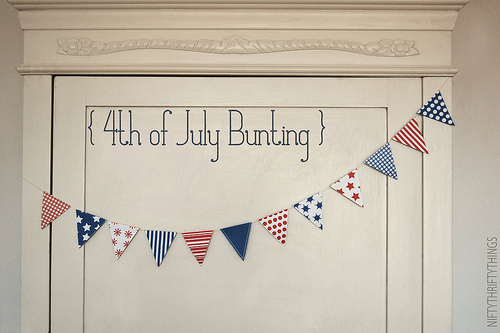 This sweet bunting and more free printables can be found at Nifty Thrifty Things! 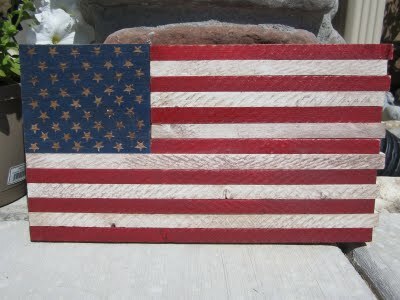 Love this distressed wood flag from Love Sweet Love! 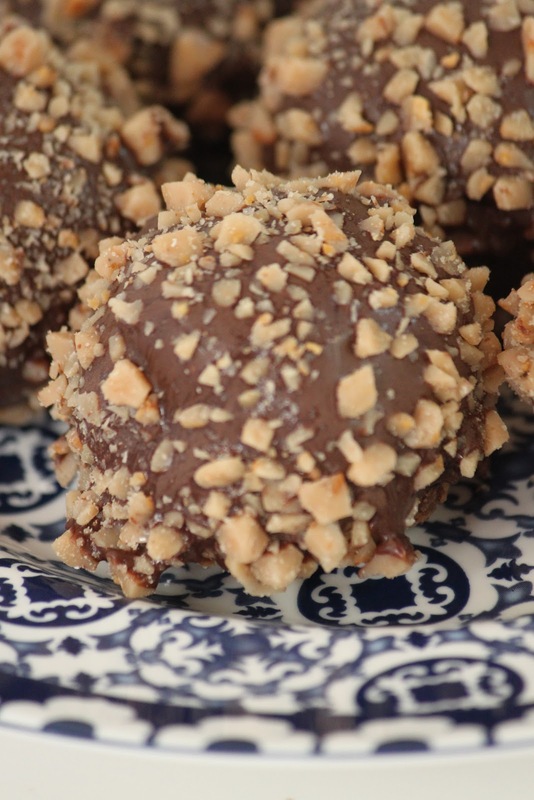 These little creations are simply chocolate cake balls with Heath Toffee Bits mixed in. After dipping them in the chocolate, I coated them with more toffee bits that had been lightly crushed. 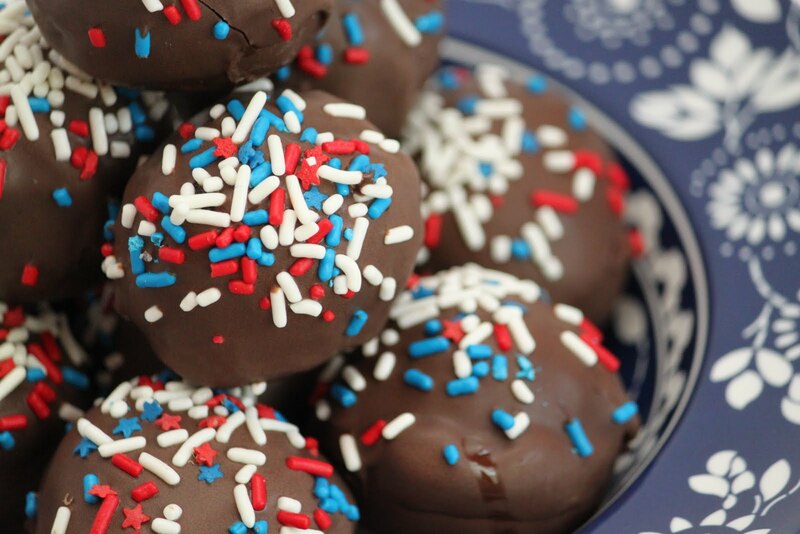 To make cake balls, click here. Its Pretty Packages Party Time Again! Would love to see what lovely gifts you've been wrapping up! 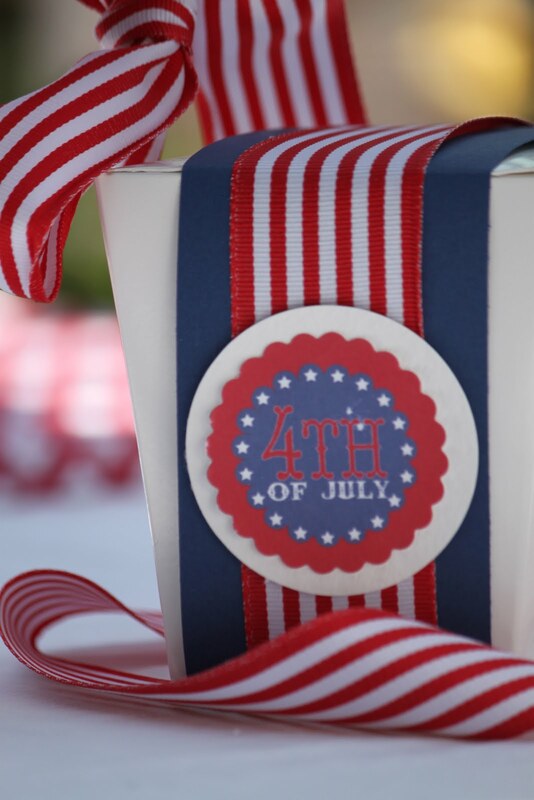 This is one of the little July 4th gifts I put together for a few friends. 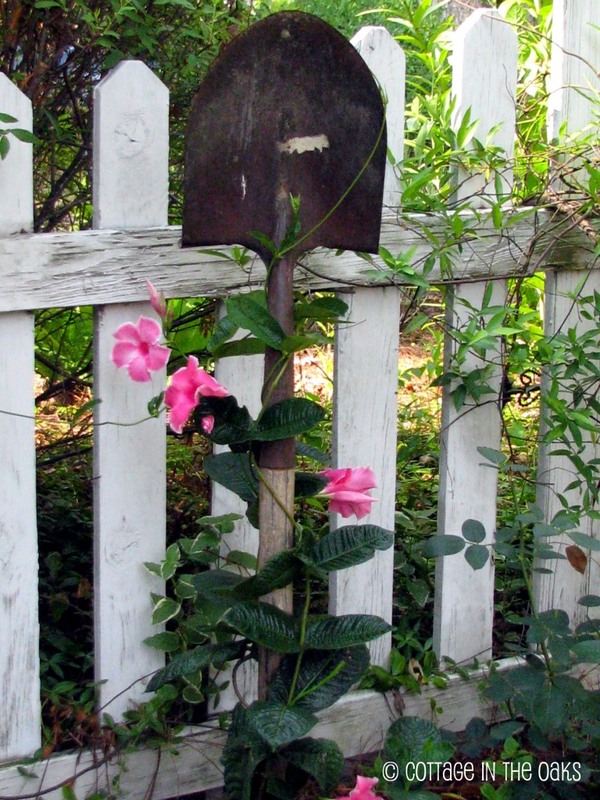 It was very last minute so I went to blogland for a free printable. Paper and Pigtails had the perfect one! 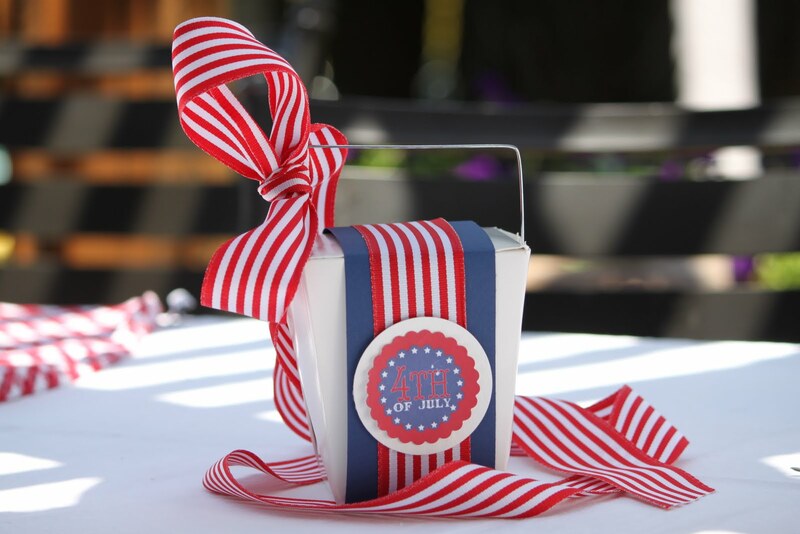 Click here for a cute July 4th Party and the Free Printable. These may look familiar...decorated them the same as last year! 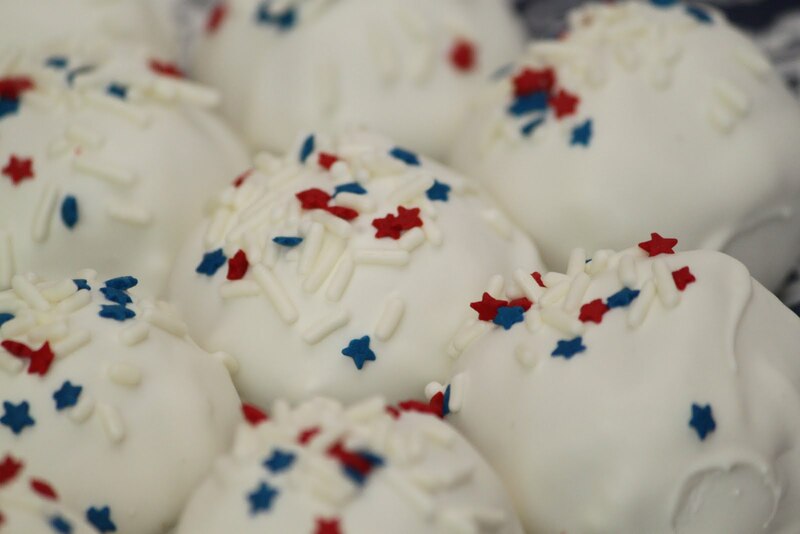 tomorrow I'll share a new cake ball flavor idea! YUM!